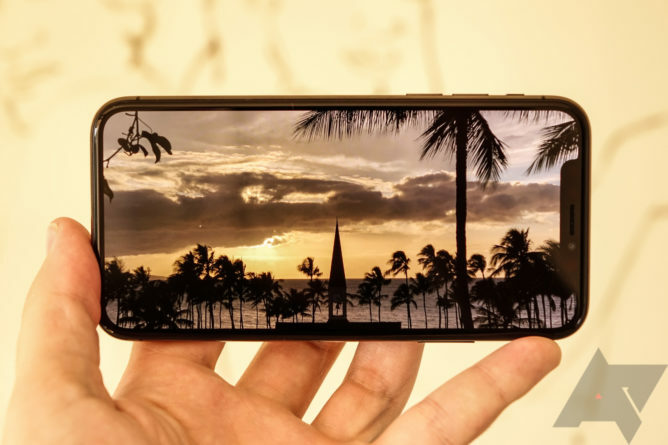 This article is part of our Switching to the iPhone X series. I can already tell I’ll have a hard time going back to Android’s software navigation keys. One of the most pleasantly surprising features of the iPhone X - and something that’s going to read like it’s straight out of Phil Schiller’s marketing playbook - comes in the form of what Apple removed from the phone: the home button. By forcing the issue of gesture navigation instead of going half-in with soft keys, Apple’s made a convert of me. I like gesture nav. It’s also kind of broken. 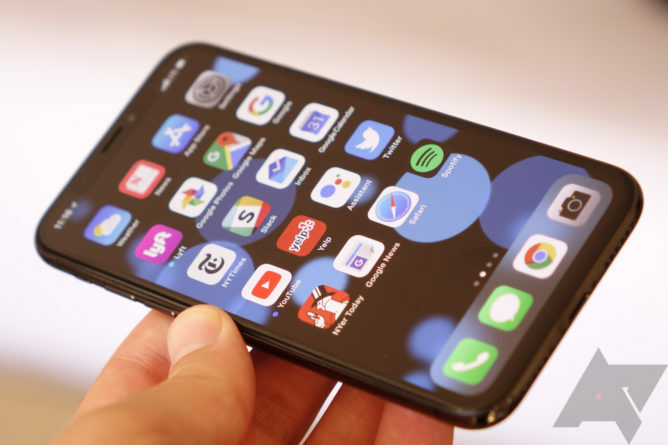 There’s no universal gesture to go back (some apps let you swipe from the left - sometimes), and the quick switcher button at the top left of the phone requires some serious thumb acrobatics to reach. But that’s how so many Apple features come into the world: excellent - under the most ideal of circumstances. Then they evolve, get better, and eventually most people wonder why we haven’t been doing things this way all along, because it just makes sense, you know? That’s how I feel about swiping up to go home after two weeks: it just makes sense. 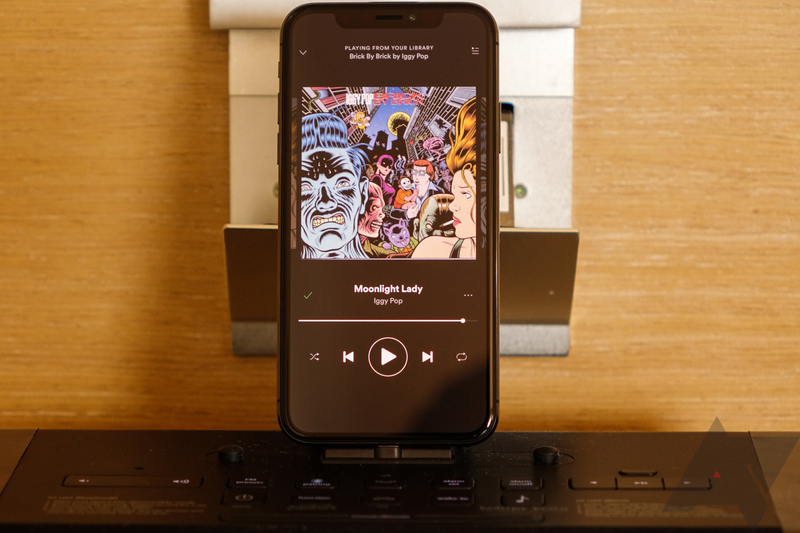 In part two of my iPhone switch series, I’m going to tell you about the things I’ve enjoyed (part three, as you might guess, will explore the other side of the equation). Some will be obvious to you (iMessage is nice), some maybe less so (Taptic Engine is a revelation). But there are undoubtedly things to like about the iPhone and iOS, and these are some of my highlights. 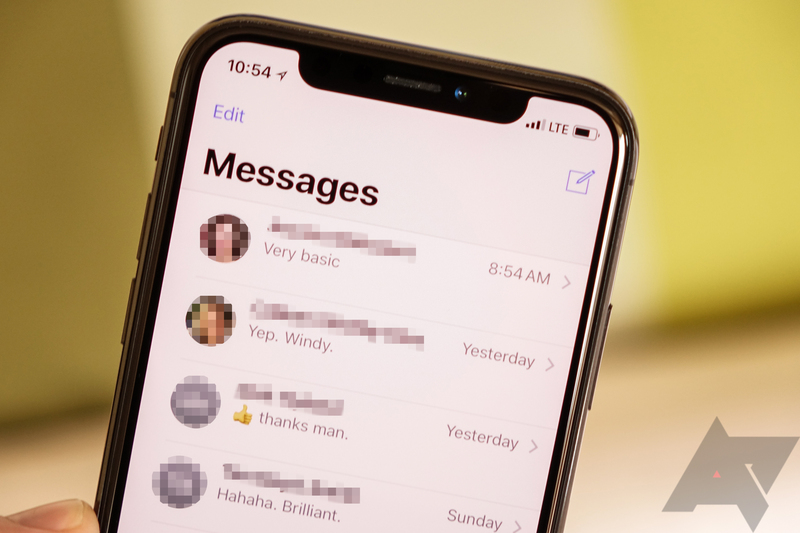 When I first started using iMessage, I immediately appreciated how much it modernized my texting experience (I do a fair bit of SMSing) when chatting with my iPhone-using friends and family. Two weeks in, I still do appreciate some things - full-resolution photos, for example - but much of the rest of the messaging experience is something I can already tell I won’t miss terribly. Being able to taunt friends and family with full-resolution Hawaii photos from the camera versus crappy MMS images has been quite nice. Yep, I’m going to lose all my messages I sent over the course of a month when I switch back to Android. I’ll get over it. As someone who switches phones often, obviously my level of concern over this is going to be different than that of someone who has used iMessage from the beginning, and I get that. But when I do go back to using SMS - which I will - it’s not as though my ability to communicate will be hugely encumbered. 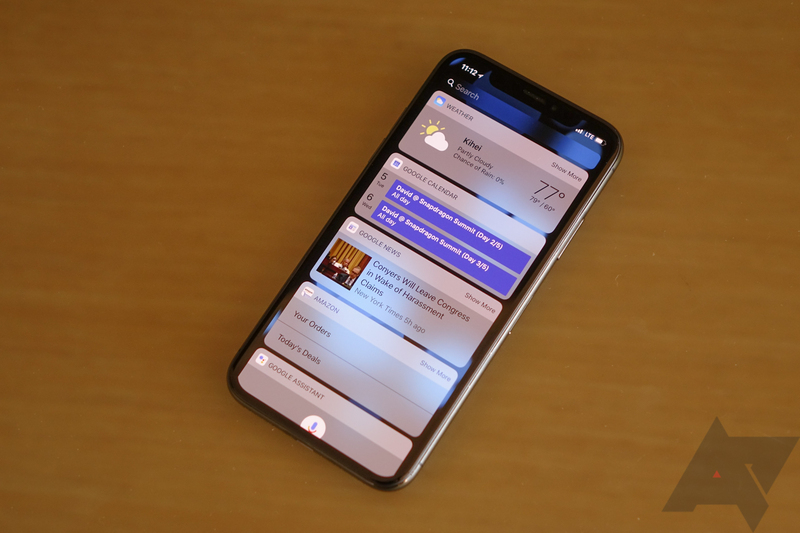 But don’t confuse a lack of excitement with a lack of preference: I would use an iMessage client for Android in a heartbeat if Apple were to release one. Even if it were terrible, I’d probably seriously entertain paying a subscription for such a thing. 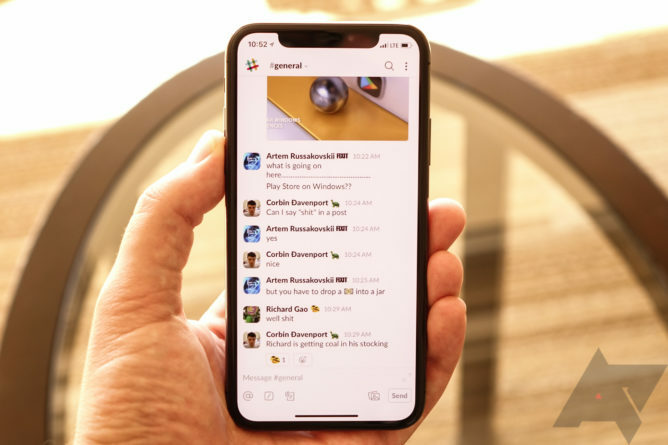 It’s not about iMessage being amazing or revolutionary or even an especially good messaging client - it’s just about using the same platform as my friends and family and being able to have those conversations move seamlessly across devices and operating systems. Right now, that means using iMessage. Five years from now, maybe things will be different. In the meantime, SMS gets the job done, and I’m not going to look longingly over at my iPhone X every time I realize I’m just a green bubble again on somebody’s phone. OK, maybe I might look a little longingly now and again. I know a lot of people turn off haptic feedback on their smartphone. That is because, I have now learned, essentially every Android smartphone has absolutely awful haptics. Your $930 Galaxy Note8 has haptic feedback that is, frankly, bad. So does every other Android phone. Yes, the difference is that clear after going to the iPhone X.
Apple’s Taptic Engine doesn’t just buzz - it clicks, it taps, it knocks. And it can do so with an incredible range of intensities and precision. If I had to analogize, it’s sort of like having used crappy $10 earbuds your entire life and then someone hands you a set of $300 open-back Sennheisers. You didn’t know your music could sound that much better until your ears heard it for themselves. The same thing applies with the Taptic Engine: you won’t get it if you haven’t used it. The Pixel 2 XL and LG V30 are about as close as Android gets to emulating Apple’s haptic experience, but really, the Pixel is still a far cry from Apple - it’s not even close - and LG really only gets the buzzing part kind of right. Apple’s implementation is still clearly a generation or two ahead. This image has nothing to do with anything, but I wanted a picture here. Why does it matter? One simple example: the Taptic Engine will mimic the intensity and cadence of your ring and alert tones. So if you have a custom alert tone set for a particular contact and your phone is on silent, you can actually tell who’s texting you by the way the phone vibrates. It’s a lot more subtle than “it buzzes three times instead of one,” too. One of my custom tones clicks lightly three times and then gives a longer buzz that fades in intensity. For interactions with 3D Touch, too, the Taptic Engine is essential. I do find myself using 3D touch for things like quick access to the flashlight or camera on the lockscreen, replying to messages from a notification, and viewing live photos in the gallery and messages app. When you initiate a 3D touch, it’s like the whole phone clicks in response to you - not like a small electric motor is buzzing. It’s very tactile. Of course, if you’re going to turn off all haptics on your phone no matter how good they are, this probably doesn’t matter to you, and that’s fine! For me, personally, going back to my Pixel 2 XL is going to be a bit of a bummer in this regard. 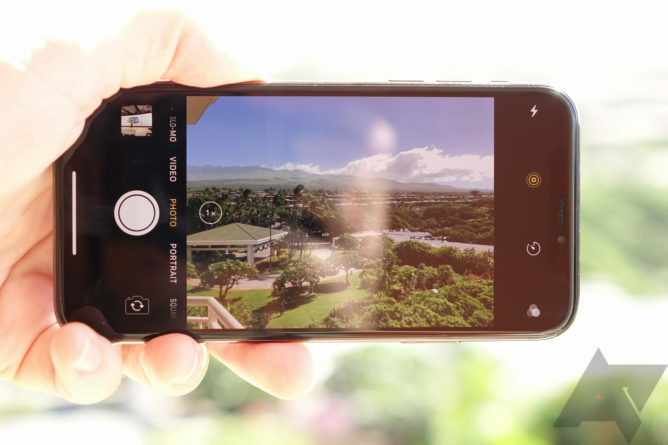 Android needs better haptic software and hardware to compete with Apple legitimately here, and it’s just not there yet. Remember when Google Now was basically just a feed of all the stuff you were likely to care about? Where you parked, the weather, when your packages were arriving, appointments on your calendar, traffic to a destination. iOS’s widgets panel basically tries to emulate this. 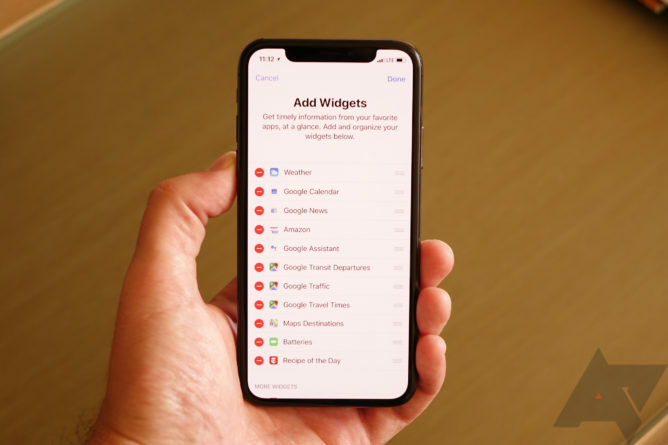 You pick which widgets you want - many apps support them - and you can order them on the widget panel. This may well be the most customizable area in the entirety of iOS. There are some novel ones, too. For example, the Batteries widget can display the charge level of any device connected to your iPhone, like your Bluetooth headphones, fitness tracker, or smartwatch. It would be even cooler if it could report charge status from any device attached to your iCloud account (e.g., iPad or MacBook). Many of Google’s apps, Amazon, and a fairly wide variety of other third-party applications have widgets available. Adoption has clearly been reasonably good, and with a little curation, this part of iOS can at least partly emulate some functions on Android that have since been split up into multiple, often somewhat buried interfaces in the Google app. I like it. I do miss intelligent package tracking being pulled directly from my Gmail (versus now just getting Amazon tracking, which is a bit of a downgrade), but I like the widgets UI. I also like that it’s sequestered in a dedicated portion of the homescreen as a list. Android widgets really never resonated with me precisely because they took up a lot of space. iOS widgets act more like a feed, and they stay out of the way when you aren’t using them. You know what I love about Face ID? When I’m actually using my iPhone, it makes signing into services so much easier. By integrating with Apple’s password keychain, you can securely autofill your login information on any site in Safari by staring at your phone. It’s an extra level of protection that I do appreciate. For other on-device authentication, like opening my banking app, Authy, or Apple Pay, it really is convenient. You’re already staring at the phone - you don’t have to do anything, except keep doing what you’re doing. Is it as fast as a fingerprint scanner? No. And this is doubly true when it comes to unlocking the phone (I’ll talk about that more in my next post). But it does feel a little more seamless. I do also appreciate the fact that Face ID works when my hands are wet, which is quite relevant if I’m in the kitchen or at the gym. 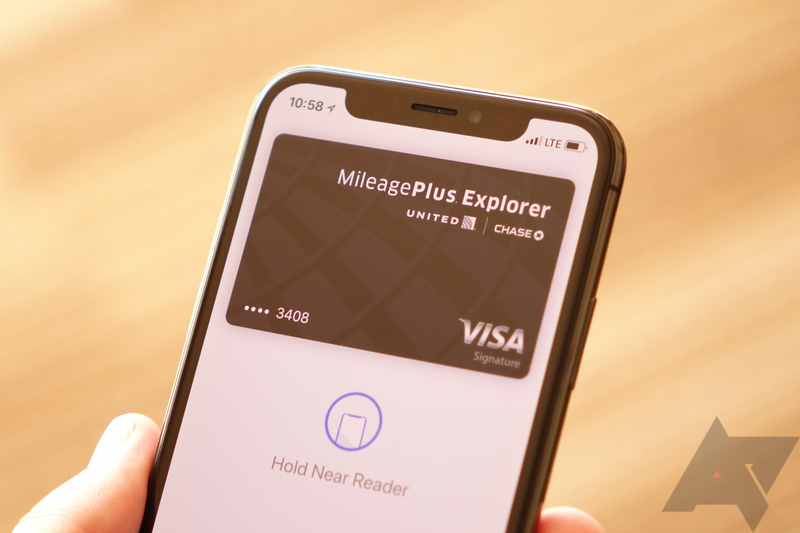 And if you wear gloves in the winter, that’s going to give Face ID a pretty big leg up over a fingerprint scanner. Are systems like this the future of biometrics on our phones? Will they replace fingerprint scanners? That’s a tougher call for me. The technology clearly needs to get better - this is an experience with rough edges, and I see much room for improvement in terms of Face ID’s overall performance. Again, I’ll discuss this in my next post. I will get this out of the way: notifications on iOS are terrible. Actually bad. Just not good. I will cover that in my next post. But! iOS does do one thing right with them, at least for me: it cuts down on information overload. Just looking at my Android phone’s notification bar practically compels me to clear it out. I don’t really like that feeling - it’s a distraction and keeps me from focusing on whatever I’m actually trying to do with my phone in a given moment, constantly sending me back and forth between apps and clearing out the bar. iOS requires you to authorize an app to send notifications on its first run after install. What I’ve noticed is that, oftentimes, I really don’t need many apps to send me notifications… ever. I don’t need to hear from the Kindle app, the Amazon app, Google Maps, Dropbox, the New York Times, YouTube, or Yelp. The list goes on, but you get the idea: I get fewer notifications on iOS than I do on Android because iOS has forced me to think about which apps I actually want to get them from. It's a little easier to feel immersed in a task in iOS, especially with the iPhone X's screen - it's a low-distraction environment. Not only that, the lack of notification icons in the status bar area means that unless you pull down the notification tray, you just don’t see your notifications all that often. You might catch a glimpse of them when you go to unlock the phone, but as soon as your swipe up, they’re gone. I don’t find I’m any less effective at responding to emails or messages on iOS than I am on Android. I do find I am significantly less mentally burdened with the task of managing my notifications. It’s going to make me take a long, hard look at how I manage my notifications on Android when I switch back. Oreo’s granular notification channels will certainly be a big help when they’re adopted, but I do sort of wish there was an option to just not show notification icons in the status bar on Android. All they do is stress me out. This one is highly personal, I know, but it’s definitely something I’ve become acutely aware of as I’ve used the iPhone more. I’ve expanded on four things I’ve enjoyed about the switch to iOS and the iPhone above (gesture navigation, iMessage, taptic engine, notification clutter). There are smaller things I like, too, and in the interest of time, I’m going to bullet point some of them. I like the telephoto camera - image quality on the iPhone X is excellent, and the performance of the cameras is stellar. The mute switch on the iPhone is handy. 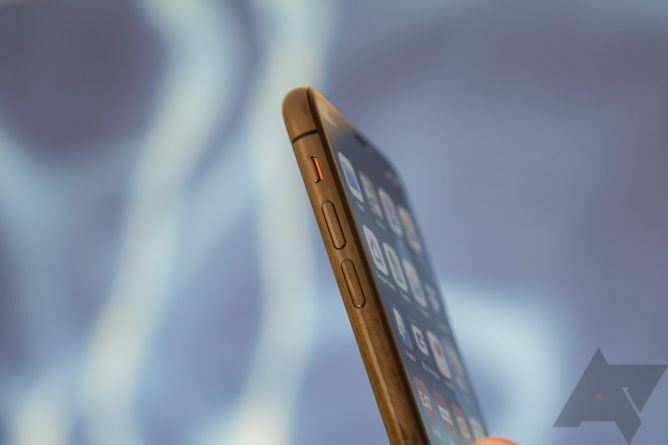 You can silence your phone from your pocket without ever taking it out. 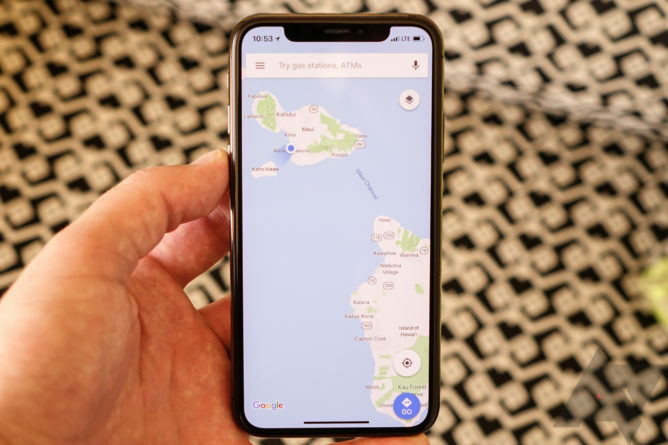 When an app has optimized for it properly, I think the notch cutout is very striking. The iPhone X is kind of fun to just stare at sitting on my desk sometimes. The speakers on the iPhone X are pretty incredible. They sound great and get loud. I like control center - the big buttons and clear iconography make using it with one hand easy, and I just think it looks nice. Anyway, stay tuned for my next post, which will probably be longer (as it covers what I haven’t enjoyed about the switch so far… there’s a lot).